The Bluebird House is made of lightweight, molded plastic that ensures ease of installation and a very long life in the field. In addition, the Bluebird House sports a new innovation: “vent wings” that allow for efficient circulation but exclude moisture. The combination of rain guard, vent wings, and seamless molded plastic construction make for the driest, snuggest bluebird house on the market. Additional features include an internal plastic-mesh ladder below the entrance hole for adults and fledglings, and an access panel on the front of the box for easy inspection and cleaning. The 1 9/16″ entrance hole makes the nest box suitable for all three subspecies: the eastern, western, and mountain bluebirds. We also include plastic plugs that can be used to close off the 12 3/8″ vent holes in the wings during cold weather, or to exclude black flies from the nest box where they are prevalent. Weighing under one pound, with interior measurements of 4.5 wide x 4.5 deep and 9″ tall, the Bluebird House is perfectly suited for attracting bluebirds throughout North America. Also, be sure to read about our E-Z Bluebird Pole System that we offer at close to wholesale prices. 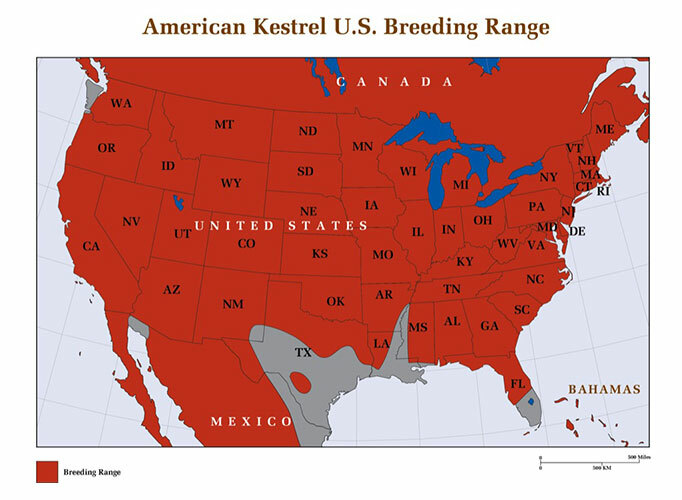 At one point, the bluebird was on a steady decline throughout most of North America. This was due to a lack of suitable nesting sites and territorial expansion by starlings and house sparrows. 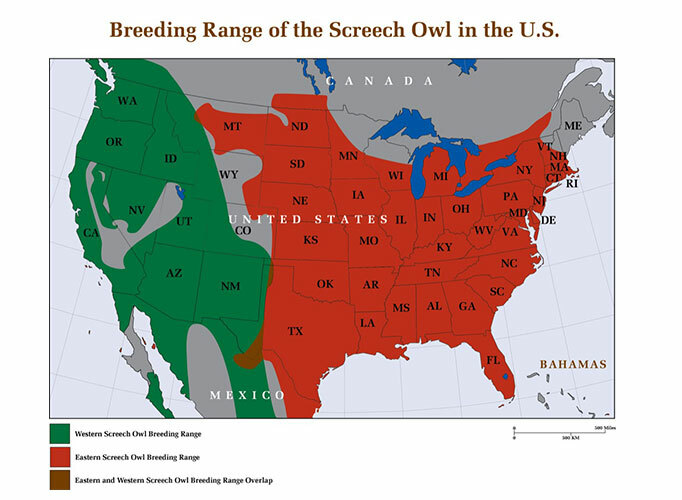 But this beautiful songster attracted the attention of many conservation minded people and bluebirds became so popular that, today, a bluebird society exists in almost every state. These groups install “bluebird trails”—rows of bluebird nest boxes– in areas of good habitat such as open fields. They maintain the boxes and monitor bluebird breeding success. The response by various groups to install bluebird trails throughout the country has brought this beautiful bird back to excellent numbers. A very important aspect of attracting bluebirds is their ability to reduce damage by insect pests. Bluebirds have been proven to be significant reducers of pest insects harmful to crops. Since the bluebird has rebounded from its earlier decline in numbers (due to dedicated efforts of conservationists), they have found a new and respected role as contributors to integrated pest management programs. Trails of bluebird houses have sprung up in every state, bolstering their numbers. Bluebirds keep up a relentless pressure against marauding pests, feeding prodigious amounts of insects to their growing young. Using bluebirds and other birds that feed on pests helps reduce the use of poisons, lowering the amounts that cycle through the environment. They are effective not only in vineyards, but in orchards and in row crops. The key is to install enough bluebird houses to the point where the insects are harvested in large numbers. Bluebirds love open field environments. 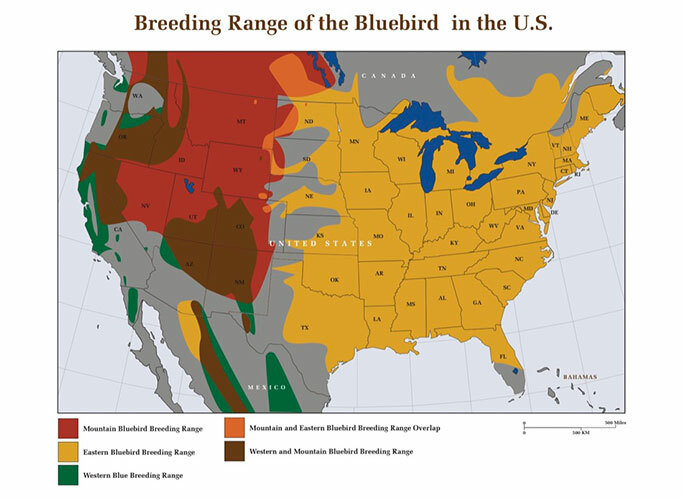 Farmland, pasture, grasslands, marshes, and croplands all can harbor bluebirds in good numbers. Bluebird “trails”, strings of bluebird houses stretched out for some distance, have been erected in every state. Some of these trails consist of no more than two bluebird houses, others contain hundreds stretching over a long distance. No matter, putting up even a single bluebird house in good habitat can help the populations of this beautiful, insect devouring bird. Several factors come into play in creating the best method for installation. Bluebird nest boxes should be erected in open areas, and stand four to five feet off the ground, preferably on a metal pole to discourage climbing predators. The entrance holes should face eastward (NE, SE, or E) for thermoregulatory purposes, and away from prevailing winds. Entrance holes, if possible, should also face toward a fence, snag, shrub, or tree within 100 feet to allow the young bluebirds a resting place when fledging. When creating a bluebird trail, conventional wisdom is that each bluebird box should be separated by 300 feet, or about the length of a football field. Another way to measure this is about 100 long strides. Some bluebird enthusiasts erect their nest boxes in pairs, ten to twenty feet apart. It has been demonstrated that this may increase bluebird occupation by providing the first nest box to aggressive house sparrows–which chase each other away, leaving the second nest box for bluebirds.